You can also say goodbye to those third-party storage fees and external servers and weekly calendar reminders you currently use to back up your Salesforce data. 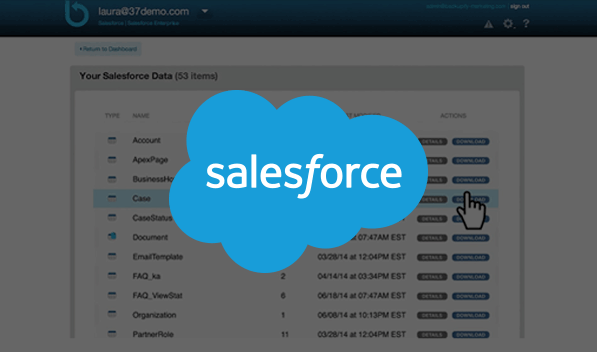 The Salesforce weekly export process creates a collection of backup .cs files stored for 48 hours in Salesforce. Salesforce sends an email when the export is available, but the person receiving the email needs to make sure to download the zip file in 48 hours. Moreover the weekly export does not contain any metadata, apex code, or associated workflows, making recovery using this "backup" basically starting over from a customization perspective.